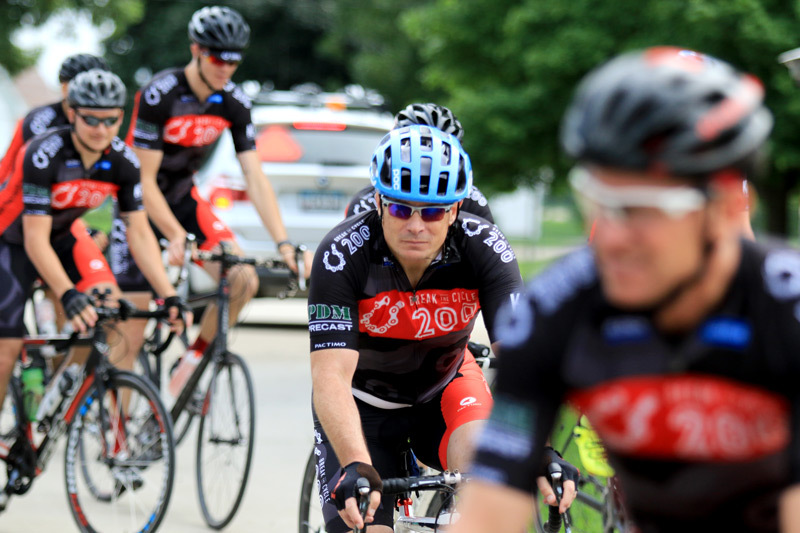 Break The Cycle 200: Okoboji (BTC 200) uses a one day – two hundred mile ride and run relay to create awareness and raise funds to help those caught in the horrible reality of human trafficking in the U.S. and around the World. We are a group who are crazy enough to complete 200 miles in one day in order to reduce, recover, and restore human trafficking survivors. Because of this, Break The Cycle 200 is not just a fun ride and run, but an opportunity to raise funds to help others. We ask that you raise a minimum of $500 and every dollar raised will go straight to help break the cycle of human trafficking. Don’t worry, we will give you resources and a way to raise your money online. We begin our 200 mile trek at the South West corner of the parking lot of Valley Church at 4343 Fuller Road, West Des Moines. We trek200 miles through the state of Iowa with sufficient breaks to keep riders and runners refreshed. We will dip our toes in Lake Okoboji. The Run Relay will start at Valley Community Center Thursday before the ride 8pm. All riders , runners, and volunteers are invited to a pot-luck style dinner the night before the ride/run. This family friendly event takes place between 6pm-8pm at the Valley Community Center. The runners will again start their run after the dinner so we can cheer them on as they begin their 200 mile relay! While the start time is fixed, our schedule will be flexible to to make adjustments for rest and other needs. You will receive more information about post ride/run as the event comes closer. We begin bright and early at Valley Church in West Des Moines. At the 100 mile mark we will stop to eat at the Lake City Country Club, Lake City, IA. Depending on the pace of the ride, we will end sometime around 6pm. THIS IS A RIDE and not a race. Our three previous years we have maintained an average speed of 18.2 mph throughout the ride. For those of you with power meters, we maintain an average wattage of 180w. There is the occasional time when the wattage climbs over 200 but not much more. It’s very conversational. The goal of this ride is to band together with our fellow sisters and brothers to show strength, endurance and solidarity for those who are suffering all over the world at these horrific crimes. It is a NO DROP RIDE. Although some riders may drop back from time to time, we have a sweeper car that will drop back and pick that rider up. The rider may choose to rest until the next designated stop where they can decide to join the group again or remain in the sweeper car. We want everyone to share in the pride, accomplishment and joy at the finish TOGETHER. OK200 provides complete nutrition and hydration for the ride. Only bring extra nutrition for very specific dietary needs. The ride will finish at Arnold’s park, 37 Lake St, Arnolds Park, IA 51331. We’ll have the opportunity to relax, eat some food, and just recount the day’s events. Saturday morning breakfast will be at First Presbyterian Church Spirit Lake, 3501 Hill Ave, Spirit Lake, IA 51360 – 9am – 10:30am. To catch a ride on the bus, show up 10AM, First Presbyterian Church Spirit Lake. The bus will leave at 10:30AM sharp. BTC200 provides a charter bus to return on Saturday. BTC200 does not encourage the finishers to ride back, in a car or a bike, the day of the event. Travel to Okoboji on the scheduled day of departure, sleep at scheduled location, then ride Saturday to Des Moines.